Forex trading – the most frustrating endeavor you will probably ever face in your lifetime. Most traders enter the market with the best intentions but dissolve their hard earned money to the market, filling the pocket of successful traders. At The Forex Guy, we believe the level of success reached depends heavily on the individual trader’s methodology. Most traders are drawn into the lower time frames where they believe more money is waiting for them. These types of strategies encourage very bad habits and are toxic to your trading mindset. 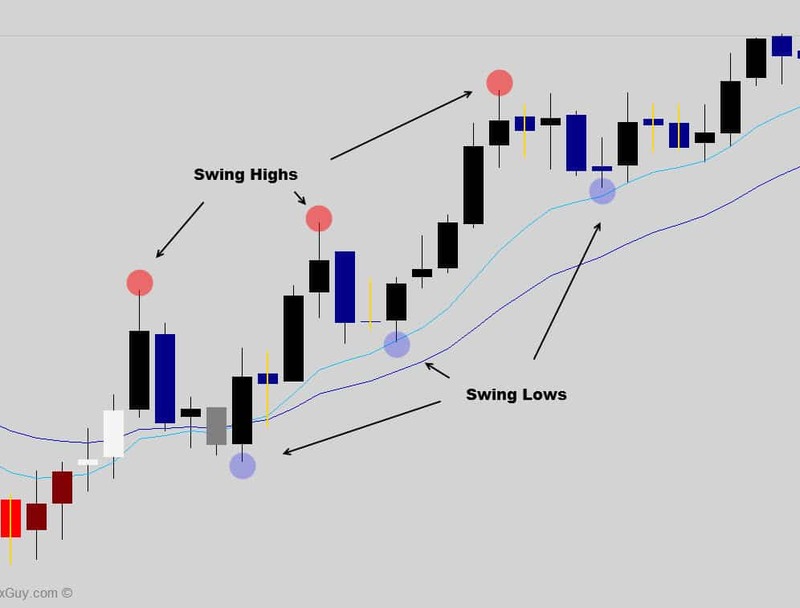 I would like to talk with you about the extremely powerful nature of swing trading – possibly the simple solution you’ve be searching for all this time which could change your chart reading skills, today. I am going to assume you’ve looked at a price chart before. You would have noticed the market doesn’t move in straight ‘bee lines’ from point A to B on the chart. Instead price ‘swings’ from high and low points, gradually stepping it’s way higher or lower down the chart. These ‘swing highs’ and ‘swing lows’ are key technical points on a price chart which can help a trader anticipate where the market is heading with high accuracy. These technical points are more familiarly known as swing points. A trader’s ‘style’ can be broken down into four main categories. Swing trading sits in a ‘sweet spot’ between the caffeine fueled day trader and the ‘buy and hold’ position trader. It is the ‘Goldilocks’ approach – not too fast but not too slow. A nicely paced trading style, centered around momentum trading. You can let your trades run to take advantage of what’s happening on a bigger scale. It’s less taxing on you (mentally & physically) – and most important of all, it’s a very lucrative trading methodology, especially for the little effort you put in. These strategies don’t normally appeal to many traders on first impression. It appears too boring to most new traders – they want trade signals rolled out at high frequency, because of the dangerous misconception of ‘more trades = more money’. This mentality pushes the majority of the herd towards lower time frames to where toxic day trading and scalping systems are deployed. Swing traders have the advantage of getting the biggest ‘bang for their buck’. Swing traders don’t have to invest a lot of time in front of the charts to be able to trade at full potential. Most swing traders, including myself, use the daily time frame to perform technical market analysis. More aggressive swing traders will switch to the 4 hour time frame to ‘tweak’ trade entries, and now more recently we’ve been using 12 hour charts in the war room. Unlike scalpers and day traders who have to sit in front of the trading screen to wait for signals, swing traders can go with a more set, forget and collect approach. 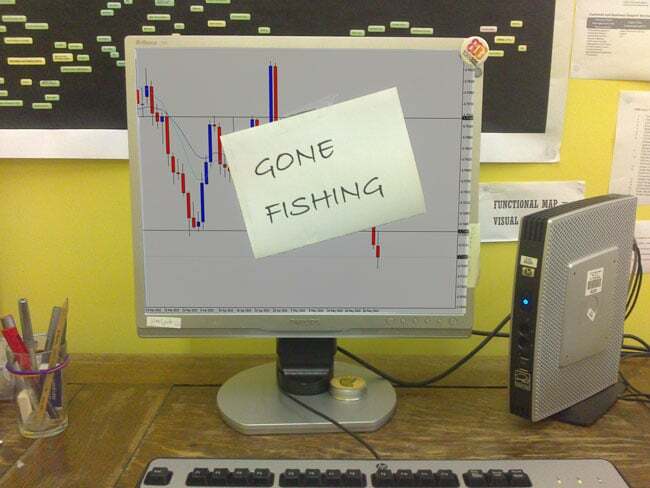 Swing traders who use the end of day trading approach, only have to check the markets at the daily candle close. It’s always recommended to use a broker that serves you a daily candle which closes inline with the New York 5 pm business close. If a trade signal is found after the close of day, swing traders can setup up their trade order by inputting entry, stop and target prices, and then walk away from the computer to go about their business. By setting and forgetting your swing trade positions, you only have to check the markets once per day for about 20 mins. This ‘hands off’ approach helps smooth out the emotional roller coaster that many traders struggle with. The idea is to let the trade run its course, not fret over every minor move the market makes throughout the day. Swing traders who use intra-day charts like the 4, 8 and 12 hour chart still only have to spend a small amount of time analyzing candlestick closes in contrast to someone who is sitting in front of the screen cycling through 5 and 15 min candles. A swing trader doesn’t need to spend much time in front of a trading screen in contrast to those who sit there and watch 5, 15 and even 1 hour candles turn over. Swing trading combined with end of day trading can reduce the time you spend in front of the charts to about 15 min per 24 hours. Swing traders can become master chart readers by learning how to read the higher time frames. One of the benefits of the daily time frame is the fact that it filters out a lot of the intra-day noise. By getting rid of the noise and focusing on the bigger picture – you will find true clarity, probably for the first time in your trading. These time frames above the 1 hour chart allow you to focus on the core market movement and identify trend momentum much more easily. It only takes a couple of seconds to get your bearings on a time frame that offers you more data. Trade signals and price action patterns are much more easily defined in contrast to the lower time frames, where price can be very ‘messy’. Human behavior rarely changes. As a collected group, we keep doing the same thing over and over again in the markets. The market continues responding the same way to certain situations, which is great for those who tap in and exploit the reoccurring behavior. The collected market psychology is visible in the candlesticks, thus unique situations present themselves as price action patterns. 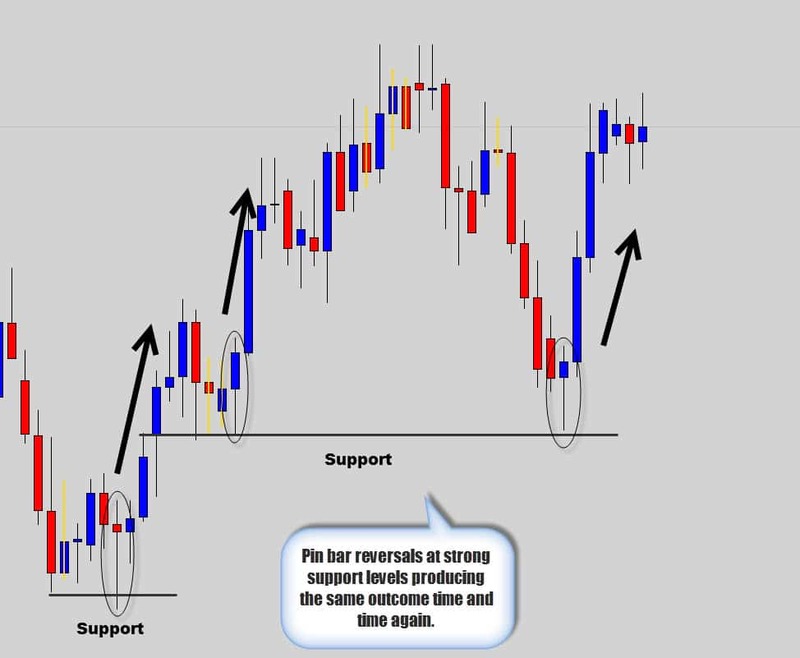 An example of a price action pattern is the rejection candle reversal pattern, which predictably manufactures the same response from the market as it has in the past many times before. By using historical data and observing the past behavior of pin bars, we can start to identify low risk trading opportunities at key turning points in current markets. As a swing trader, you will eventually be able to read the ‘herd mentality’ in the candlesticks and accurately anticipate future price movements based on observations in the past. By moving to time frames above the 1 hour chart and learning to read the ‘swinging’ footprint of the market, you will be able to anticipate where the market is heading with higher accuracy. These higher time frames are less susceptible to noise that plagues lower time frames, and you will finally start to get a sense of clarity in the markets. We’re taking about the skill of catching trend momentum at the optimal moment. A lot of ‘gurus’ say to take the breakout of previous swing highs or lows – I don’t like this approach because these recommended entry levels are consistent turning points in the market and are prone to breakout traps. The smart way to approach swing trading is to look for short term oscillations (counter trend movements) within in a trend to take advantage of good buying or selling opportunities. First you need to identify ‘swing levels’ where old resistance becomes new support, or the other way around. 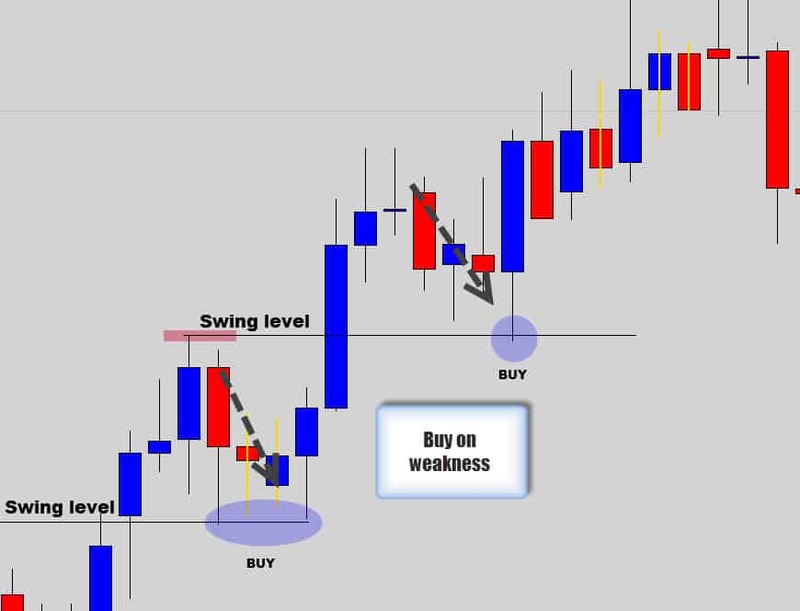 When a swing level is tested, traders can look for buy or sell signals generated by their trading system. In our case we look for price action reversal patterns to enter us into a trade. The idea is to buy on weakness and sell on strength to get you into the trend at the best possible prices. The example above demonstrates the advantages of buying on weakness in an uptrend. Smart trading is exploiting those short term oscillations (counter trend movements) to enter into the trend momentum at these swing levels. 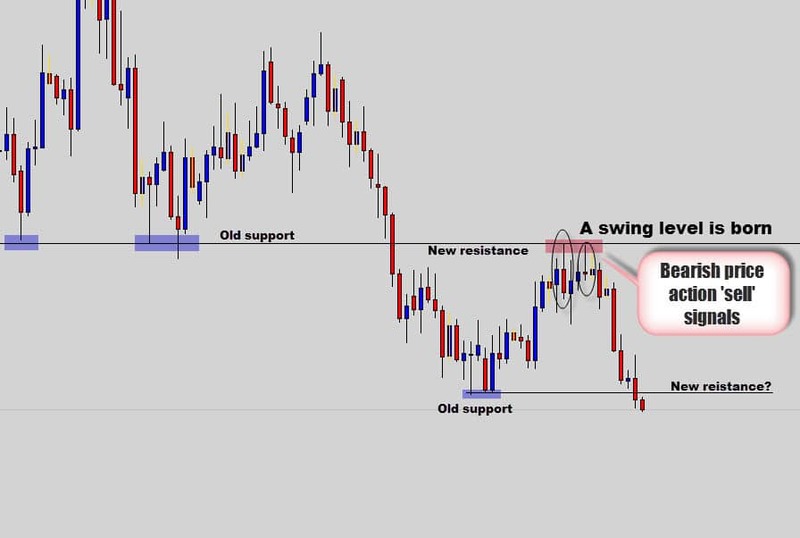 Swing trading allows you to catch the ’meat’ of the move by generally holding a position that can last anywhere from a few days to a few weeks – sometimes months. Much better than day traders and scalpers who spend hours in front of the screen to pick up breadcrumbs. Slow and steady wins the race here. The advantage here is you don’t need any sophisticated computer setups or ultra-high speed connections. Spreads don’t become an issue either, when you’re pulling in 150-200 pip or more on each trade, you’re not going to kick and scream about a spread charge from your broker greater than 3 pips. Swing traders look to sell strength in weak markets, and buy weakness in strong markets. The goal is to catch the broader market moves which can be very lucrative. No fancy equipment is needed, and market spreads also become such a trivial factor because you are catching moves that span typically up to 300-500 pips. 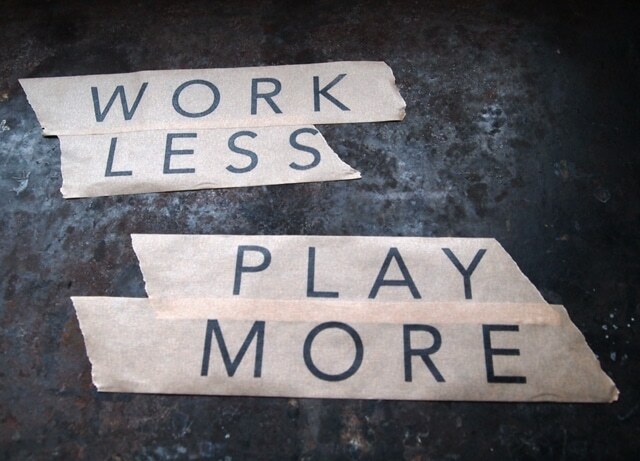 Let’s face it, we all have busy lives. Most of us have full time day jobs, studying or looking after kids at home. That doesn’t free up a lot of time to allocate to spend in front of the computer for Forex trading. 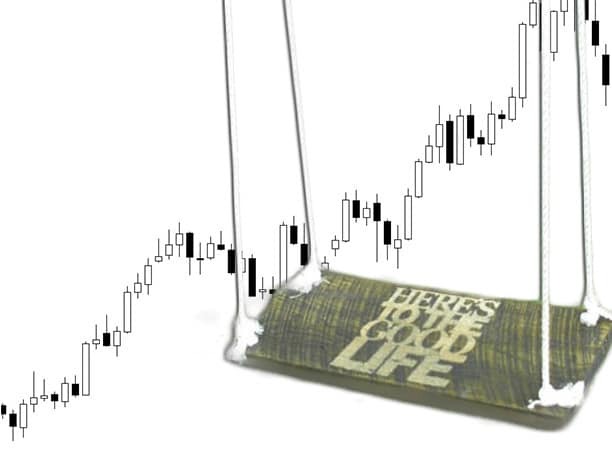 Most new traders who opt into high frequency trading find it hard to blend it into their busy lifestyle. It consumes much of the traders life – often making them very anti social, and if trading isn’t going well, a very negative person to be around also. Location can be a problem for some people as well. The trick is to keep trading as simple as possible. Their time zone may not be a good fit for intra-day systems, especially if you have to get up at 3 am to when volatility is high enough. This is where swing trading really shines. You only need to check the markets at key intervals which are often 8-12 hours apart. If you go a step further and focus only on the closing price for the day to do your price action swing trading analysis – you really only need 10-20 minutes per day to allocate to the trading screen to set or check your trades. By using the set and forget approach, there is no need to ‘babysit’ your trades or watch over them. Once your trade is set, the market takes over and you go live your life. So, it’s possible to trade on a more casual timetable but still reap the benefits of a full time trader. Swing trading really frees up a traders time, because there is absolutely no need to sit in front of trading screens for hours on end. Just check the market at key intervals, like at the London open, or New York close and live your life while the market does its thing. This type of trading may not appeal to everyone at first, but if you find your system frustrating – I really suggest you look into this. Some traders need time to adapt to certain methods, or try others systems before deciding which is or isn’t a suitable fit for them. I am however confident that if you persist and truly want to become successful with Forex, that you will eventually find yourself swing trading with the rest of us. 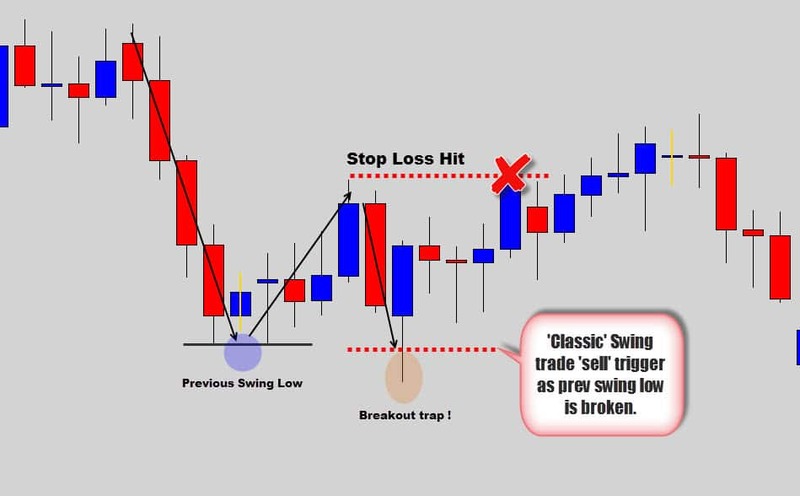 Traders who are interested in maximizing their profits for the minimal amount of time invested should really consider making the switch to swing trading strategies. The goal of a swing trader is to take advantage of momentum until it has run its course. We use price action trading strategies and combine them with swing trading methodologies to capture the bulk of trend movements. The benefits of price action trading and swing trading marry well together and create a symbiotic relationship that produces a stress free, simple, logical and stable trading approach to the market. If you would like to know more about price action swing trading, become a master chart reader, or are just looking to gain a true edge in the market – you may be interested in our price action protocol trading course. To find out more about the course, see our War Room Trader Membership for price action and swing traders. Let me know in the poll below what your favorite style of trading is at the moment. Best of luck on the charts, talk soon. Best argument against scalping I've ever heard!I have been killing too much time staring at the charts and it's clearly not helping me. I just went back on demo, because I bombed my live account badly. When I first discovered Forex, I was so excited to find something that I could do from home (or anywhere with wifi!) with unlimited potential for growth, AND that I love doing.Every day since, I have been filled with passion and determination but despite all my hard work...I keep failing! I was starting to feel like there really was no rhyme or reason to this and that I am just gambling my money away. For the first time with price action and your articles, I am finding something that makes perfect sense to me that I think I can build on and master.I can't thank you enough for offering these articles and I will be joining the War Room soon. very nice write up.keep it up sir. Well explained, as you presented, keeping things simple is exactly what I want. Thanks for the tips. What a great article! Well written, explained with easy to adopt principles & practices along with words of encouraging wisdom. The idea of keeping the swing trade simple is perfectly illustrated in the candle stick charts. Something that has helped me immensely has been the utube clips by Brendan Wendell from Trading Academy and Keyser Soze for zone to zone trading. Thanks for this wonderfull article! What do you do with high impact news? I will like to join you. I will like to join you and learn more. A great article! It comes at the right time for me because am planning to start forex trading . Thank you for this article - I'm looking forward to trying swing trading!